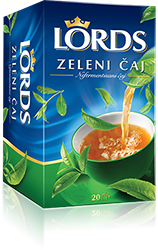 Drinking tea is a way of living in which you can enjoy every time and everywhere. 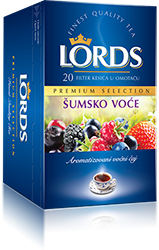 Inspired by the English culture “Lords” represent an ideal combination of carefully selected ingredients and attractive packaging. 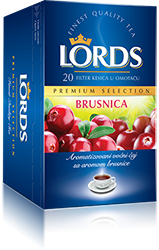 You can enjoy drinking “Lords” in the morning for a good start of the day, as a refreshment through the meals, during hanging out with friends or during the evening relaxation with the family. 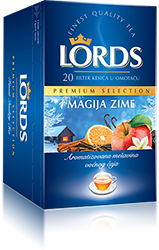 “Lords” are a perfect mixture of quality, tradition and elegance. 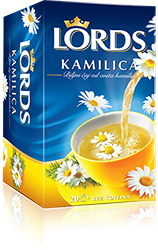 Carefully selected flavours will make you enjoy every sip of your favourite tea aroma. 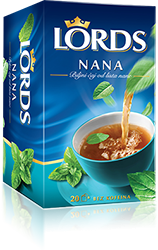 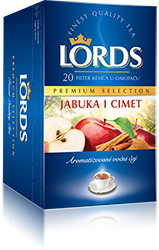 There are two product lines of tea that “Lords” provides: Basic which offers the most common consumed flavours and premium that offers selected combinations of flavours in elegant packaging.